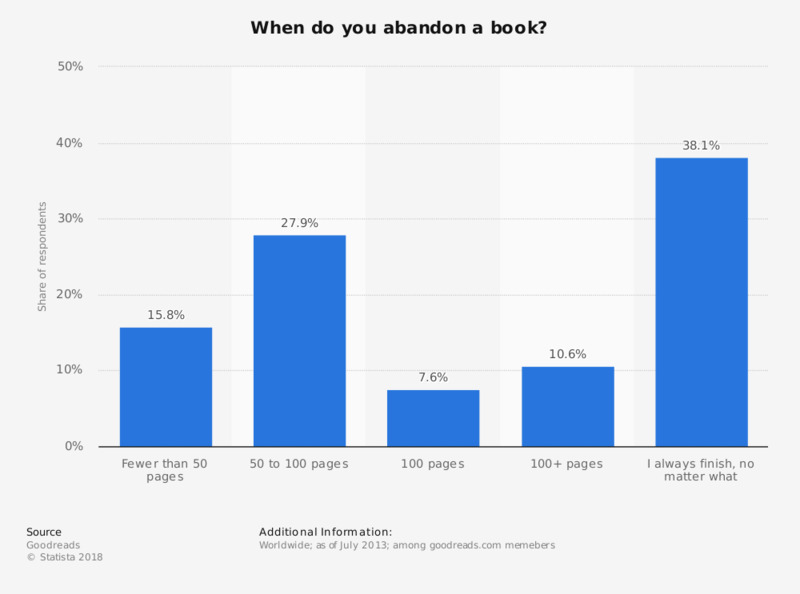 The statistic presents data on the number of pages book readers read before they abandoned a book. During the survey carried out by the social cataloging website Goodreads.com in 2013 among its memebers, 15.8 percent of respondents stated that they usually abandonded book after reading fewer than 50 pages. The source does not provide survey data (no. of respodents, their age, exact date of survey and its type).